Dr Michael Carroll is a senior lecturer in Reproductive Science and the course director for the MSc in Clinical Science / Cellular science. This is the academic component for the Scientist Training Program (STP), which is part of the Department of Health’s Modernising Science Careers (MSC). The MSC is a UK-wide government initiative to address the training and education needs of the whole healthcare science workforce in the National Health Service (NHS). The Cellular Science STP is designed to train and educate clinical embryologists, histopathologists and cytopathologists for the UK clinical workforce. Michael studied toxicology (Athlone Institute of Technology, Eire) and Biomedical science (University of Bradford). After completing a PhD in reproductive cellular physiology from the University of Newcastle he went on to do post doctoral positions at the Howard Hughes Medical Institute, UT Southwestern, Dallas - The CNRS, Station Zollogique, VileFranceh sur Mer, France and at Southampton University. After his time in research Michael trained as a clinical embryologist (obtaining the ACE postgraduate certificate in clinical embryology) and worked in a busy IVF clinic before being appointed as a lecturer in reproductive science at MMU. 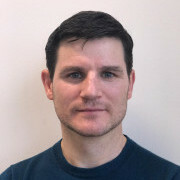 Michael's research interest includes reproductive cell biology, andrology, investigating lifestyle and environment effects on human sperm, and evolutionary biology.